Trust-based, long term relationships to members of their network, e.g., customers, suppliers, but also university centers. This allows them to quickly (and efficiently) access relevant external knowledge. While the breadth of their network might be limited, the depth of family firms’ ties to their network is quite huge, allowing for accessing reliable information. Flexible organizational structures allow for efficient usage of external structures. 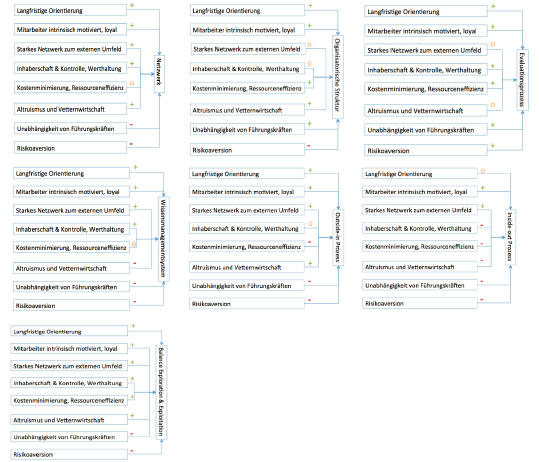 Implicit, tacit knowledge within the organization. This knowledge helps to assess the quality of the external knowledge and to use it in the organization. Fewer inefficiencies in the knowledge absorption process if owners and managers are aligned in their goals that is when the CEO is a family member. 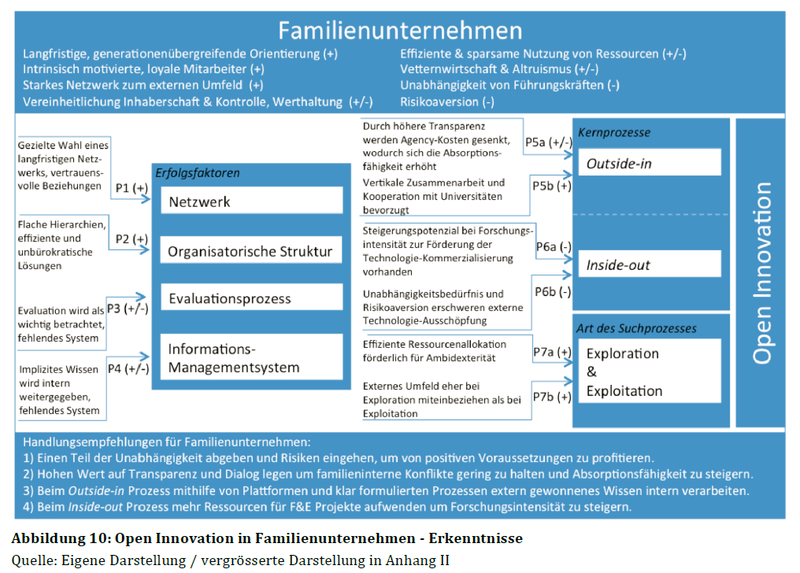 Typical family firm characteristics, however, impede inside-out (or: outbound) open innovation. 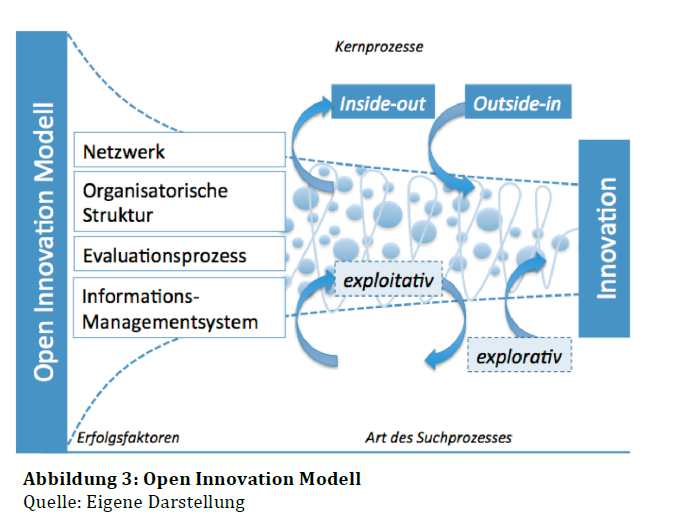 Inside-out open innovation means that knowledge that family firms have created is commercialized by externals. The most important problem that family firms face with outbound open innovation is that successful outbound innovation requires substantial financial investments in R&D. However, past research has shown that family firms typically underinvest in R&D as compared to non-family firms. Get rid of the “not invented here” syndrome! Open innovation requires giving up some control! Install useful knowledge management systems (including systems for patent management and other necessary platforms to share, assess and document ideas)! They help to effectively “absorb” and assess the external knowledge. For further information on the project or English versions of the graphics, please contact nadine.kammerlander [at] unisg.ch . Video podcast: Are family firms more or less innovative?